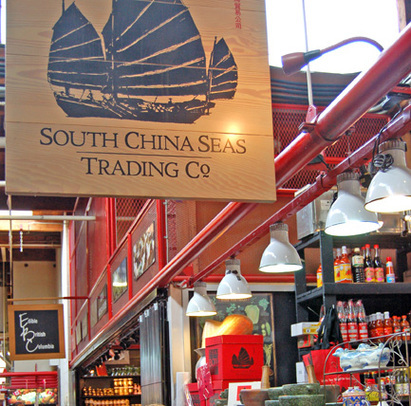 Vancouver has a diverse Asian palate and a testament to this is the South China Seas Trading Company store at Granville Island Public Market in Vancouver. The store however does not limit itself to just Asian foodstuffs. 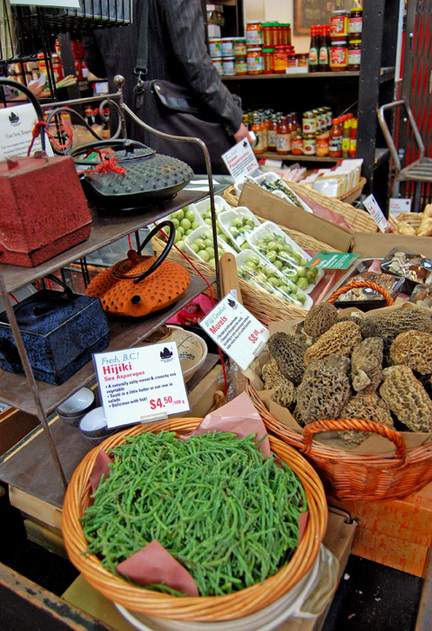 It also stocks hard to find items from the Caribbean, Mexico, India, South Africa and Japan and a variety of fresh seasonal produce like morels, sea asparagus and tamarind, just to name a few. I shop here at least once a week and am always enthralled by all the interesting items they have in stock. The most unusual ingredient I have seen there is Krachai Root, a Rhizhome also known as Fingerroot or Chinese Ginger. Krachai Root is used in a Thai Dish called 'Kanom Jin Naam Ya', which I can only describe as a type of minced fish curry with rice noodles and various condiments. The Krachai Root gives the dish a slightly medicinal sort of flavour. It is really hard to explain what it tastes like but it is very distinctive and delicious. South China Seas also has a great collection of international cookbooks.